Buhar Enerji” means “Steam Energy” in Turkish. We named our company this as it was founded on the pursuit of geothermal energy. And what about geothermal energy? “Geothermal” literally means “earth heat.” This is the heat energy stored inside the earth’s crust at various depths, some of which can be very shallow depending on seismic pressures and fissures in the earth’s crust. It is a clean and environmentally sustainable resource which is ready to play an increasing role in meeting the world’s urgent needs for clean energy. When one thinks of geothermal energy, one typically thinks of steam geysers. This is not incorrect. But it is much more than this. 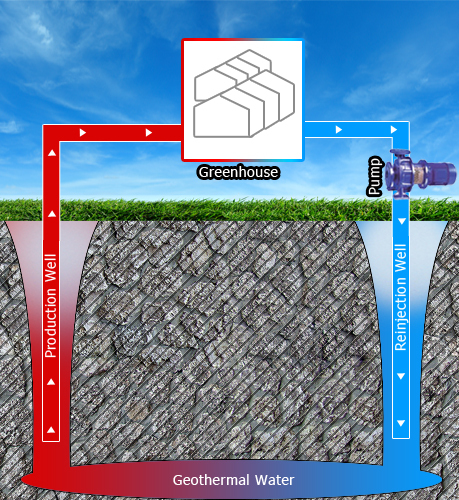 Geothermal energy typically needs to be over 150 degrees centigrade and at sufficient pressure to spin a steam turbine to generate electricity – temperatures lower than this are useful, and would find utility in all means of heating – housing, district heating, greenhouses and other uses. These applications are highly viable and much more widely used than electricity generation, including in Turkey. The “renewable” principle of the energy source is simple. The water is re-injected back into the earth’s crust, and this recirculation is repeated over and over, returning hot water. And while geothermal power may not have the headlines of wind and solar power, especially that at lower water temperatures, it is precisely in its “old faithful” moniker that geothermal heat distinguishes itself. The earth’s heat belt and seams of heat provide constant low maintenance hot water 24-hours a day, 365-days per year, enabling the sort of businesses we can engage in at Buhar Enerji.